The Overview panel gives you an overview of the entire project. 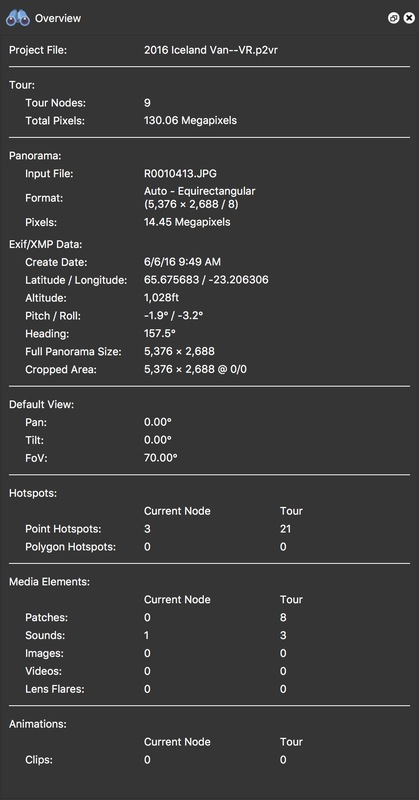 ✭ Some of the Exif data that is shown can be copied to the User Data. Right-click on the info and choose, Copy to User Data.